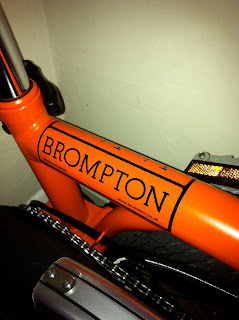 My Orange Brompton: It's here!! 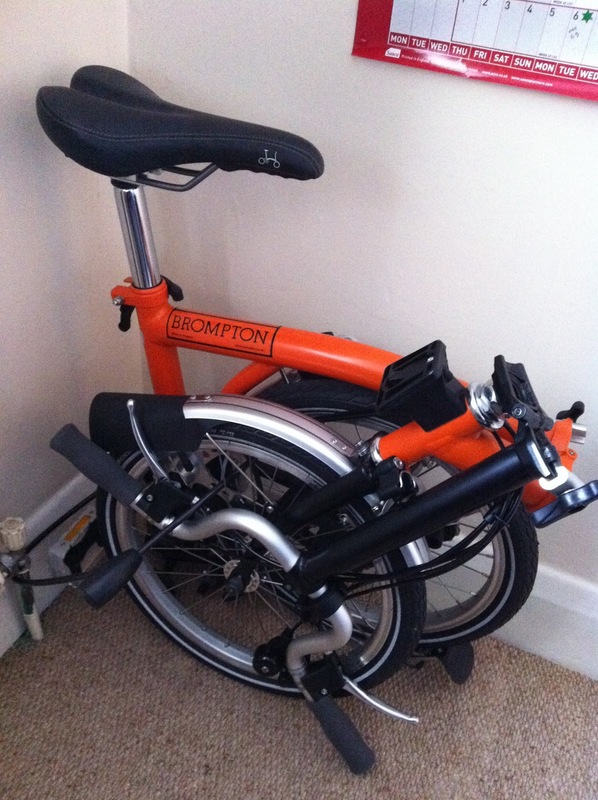 My new Brompton!!!! Well it is finally here. 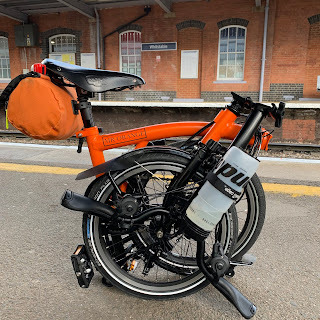 My new Brompton ML6. Matt orange frame and matt black extremities. 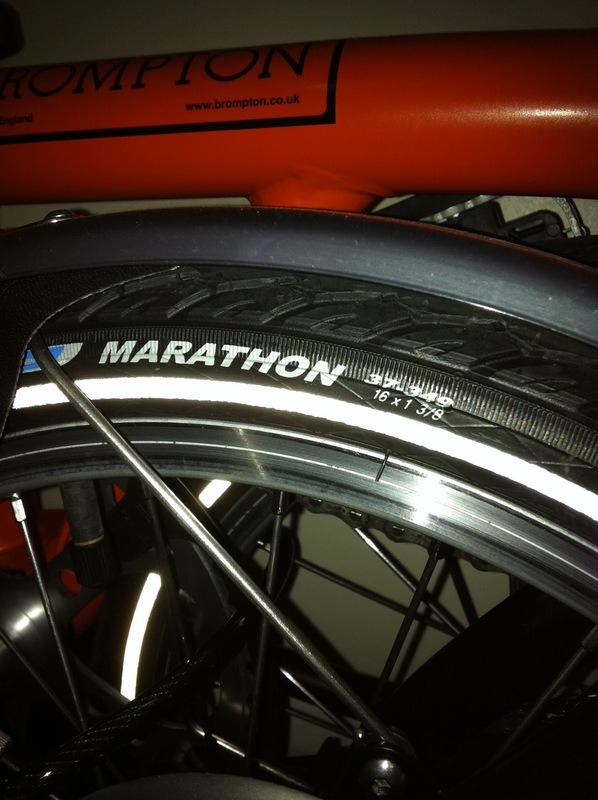 Marathon tyres, firm suspension and an extended seat pillar. The colour of the bike in photos seems to give it a shine but the paint has a lovely matt finish in the flesh. I am thrilled with it so far. 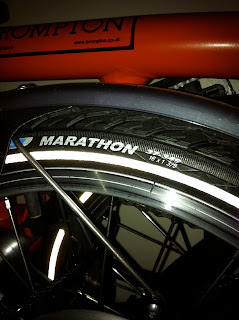 I got it on Monday and raced to the cycle shop I bought it from. It was there ready and waiting having been inspected and given a clean bill of health. So far I have to say that it has exceeded my expectations and gives a great ride. The range of gears has to be tried to be believed. My old Dahon had 7 gears but my Brompton really does put it to shame. Absolutely love it! Tomorrow I hope to take it out into our fair capital and give it a good outing.